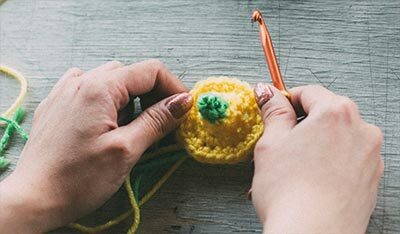 Hold crochet hook in right hand and make a slip knot on hook. 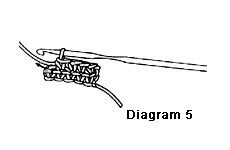 Draw hooked yarn through slip knot and onto hook. 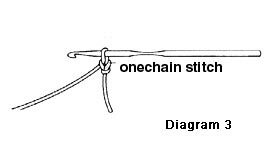 This makes one chain stitch. Repeat Steps 2 and 3 until you have the desired number of stitches. One loop will remain on hook. 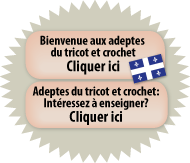 Skip the first chain stitch. 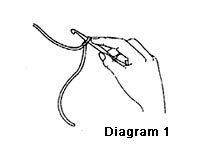 Insert hook into center of next chain stitch. 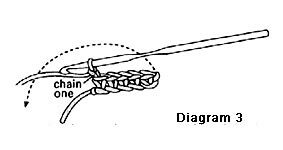 Draw yarn through the chain stitch and up onto the hook. There are now 2 loops on hook. 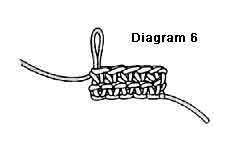 Bring yarn over hook from back to front, and draw it through both loops on hook. 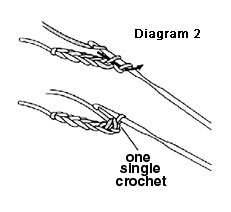 One loop remains on the hook, and you have just made one single crochet stitch. Repeat Steps 2 and 3 in each of the remaining chains—be sure to work in the very last chain. You have now completed one row of single crochet. 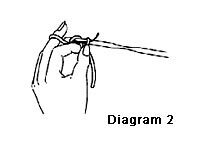 At the end of the row, make one chain stitch, then turn the work counter-clockwise, leaving the hook in the chain. Now you begin another row, working into the stitches of the previous row. 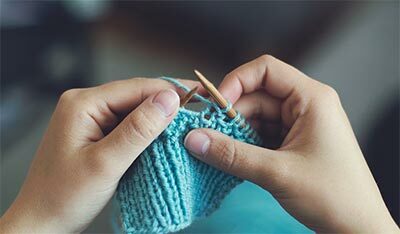 Make one single crochet stitch in first stitch and in each remaining stitch of the previous row. Be sure to work into the last stitch. Chain 1, turn. Repeat single crochet rows following the pattern.